Publisher: George Allen & Unwin, 1934. First edition. Condition: Hardcover, yellow cloth. Spine darkened, some soiling and rubbing on boards. 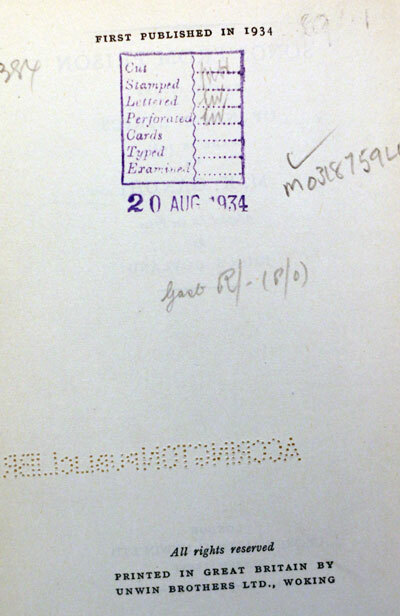 Ex-library, with a lot of marks on the inner front board, title page, endpapers, etc. Otherwise good. Translation from Sanskrit hymns and lyrics, from the Upanishads and other scriptures. 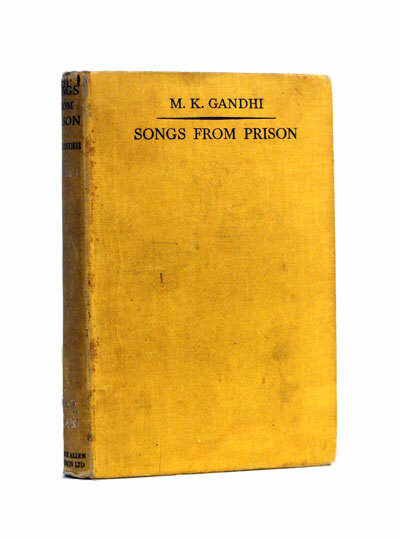 Gandhi made these translations during his incarceration in Yeravda Prison in 1930. Translations of works by Manu, Tulsidas, Kabir, Nanak, Mirabai, Ramdas, Tukaram and many other poets. Gandhi prepared these translations mainly for his English friends and especially for Mirabehn. 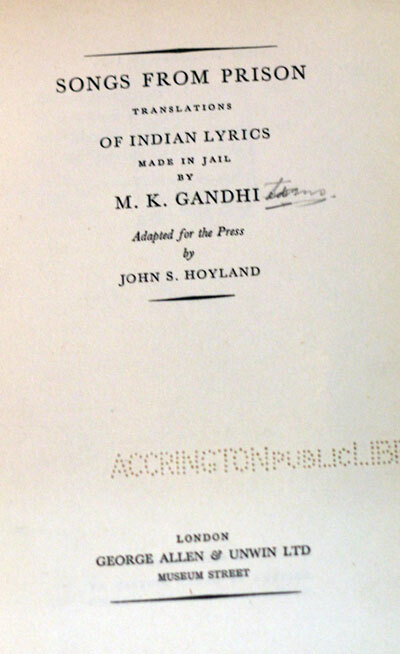 John Hoyland prepared Gandhi’s translations for publication in the West under the title Songs From Prison. 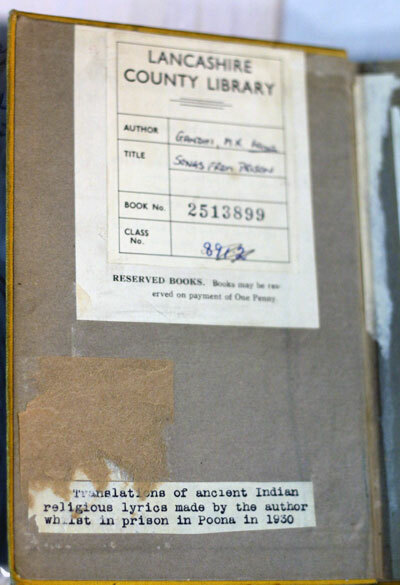 Hoyland has omitted certain Indian names and symbolism for the convenience of the Western reader. Hoyland adopted a metrical form for the Western publication.